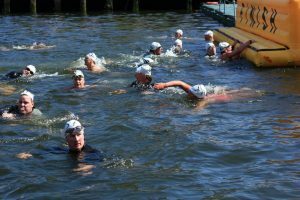 The Lee Swim is a point-to-point swimming race through the centre of Cork City, Ireland. It dates back to 1914, or possibly earlier. 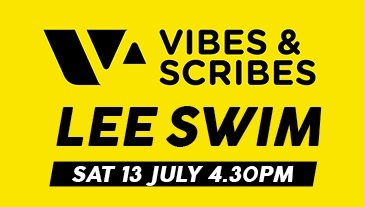 The Swim was relaunched in 2005 as the Vibes & Scribes Lee Swim and has been held annually since. It is organised as a fun event, open to all competent swimmers. There is also a competitive element, with age group prizes and five historic trophies up for grabs. There are separate categories for wetsuited and non-wetsuited swimmers. At present, numbers are split 60/30between these two categories. 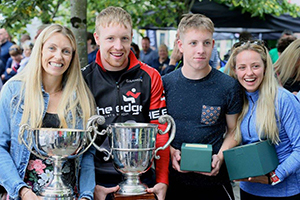 In 2017, an entry of approx 400 swimmers is expected, making the event one of the biggest open-water swims in Ireland. There is a carnival atmosphere to the Swim, with celebrations continuing late into the evening. A video made in 2013 gives a sense of the atmosphere on the day.